I recently started coloring my hair after over seven years of leaving it alone. And while I absolutely love playing with the color, I've been on the hunt for shampoo and conditioner to keep it shiny, healthy and lustrous for weeks and months on end. Luckily, I came across Neil George Intense Illuminating Shampoo and Conditioner -- and my life hasn't been the same since. To begin with, the bottles look so chic in my little stall shower. I love the oversized tube-like shapes with bright yellow product inside. They just really jazz up my shower and immediately put me in a sunny mood. But it's the products themselves that really rev my engine. Each is formulated with Indian Gooseberry, a plant extract high in antioxidants that strengthens and repairs the hair shaft. Zesty grapefruit sage lends them a citrusy, refreshing scent that wafts out of the tubes in an intriguingly delightful manner. It's somehow perfect for waking me up in the morning or putting me to sleep at night. The consistency of each is light enough that they don't weigh down my tresses -- but rich enough to really feel lush and intense. Best of all, the shampoo and conditioner are both paraben-free -- so they don't strip my newly revamped color. There's really nothing better! Neil George Intense Illuminating Shampoo retails for $22. 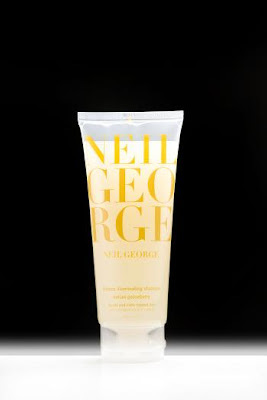 Neil George Intense Illuminating Conditioner retails for $24.